HMH Books for Young Readers, 9781328767042, 144pp. An up‑close look at what life is like the morning after a terrible hurricane for anteater Abi in this photo‑packed series exploring the stories and science behind animal sanctuaries. 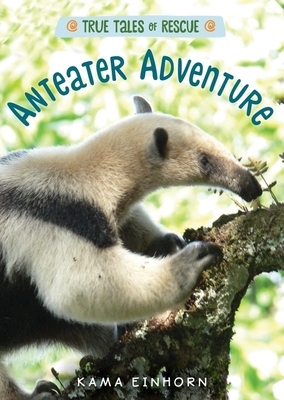 Abi takes readers behind the scenes of an anteater sanctuary in Belize in this nonfiction chapter book for elementary‑aged readers. Includes full‑color photos, graphics, and maps. Kama Einhorn is Brooklyn-based writer and editor of children’s media. She has master’s degree in literacy education from U.C. Berkeley has been an editor at Scholastic, before becoming a content creator at Sesame Street. She's written more than 40 books for kids, published by Scholastic, Random House, Simon & Schuster, and HarperCollins and also authored magazine articles, outreach materials, and web content for Sesame Street, Nickelodeon, The New York Times Learning Network, Best Friends Animal Society, and The Humane Society of the United States.